Gorgeous view, unique home. 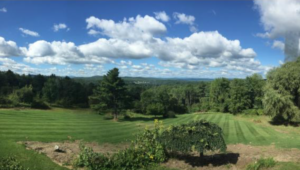 • Vermont and New Hampshire Real Estate - Quechee Associates, Inc.
Home > Gorgeous view, unique home. How would you like to wake up every morning to look out your bedroom window and see across two states? This home has beautiful long range views and lots of windows and spaces to enjoy them from. With over 2.5 acres of well groomed land and located in a very desirable neighborhood in Lebanon, NH this home offers a rare opportunity. Check out the link for pictures and a full listing sheet or give us a call to set up a showing. CLICK HERE for details.